The year was 1981, and Fareham's new shopping centre was expanding nicely. Although the motorway was only there to keep long-ditance traffic out of town, plans to expand the industrial area of Wallington would make existing problems in the High Street and on Wallington's own narrow streets an increasing problem. 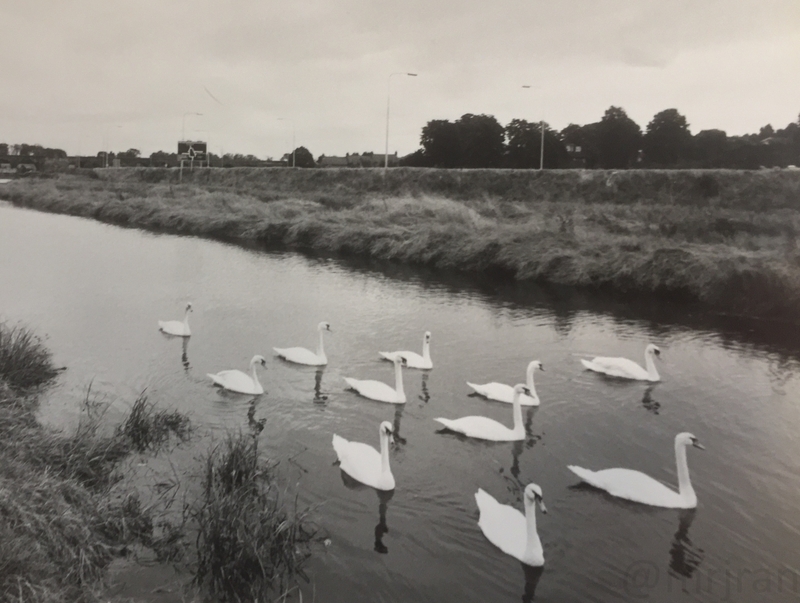 Wallington Way was conceived as 'The Link Road' and built to solve these issues using the floodplain at the levels of Wallington. It started at the Delme Roundabout where a gap had been reserved for it, it was then built along the length of the River Wallington, much of which had been filled-in. This saw the meander of the river replaced with one straight line, with the west side of the road left as an overflow pond while the road crossed saltings and the mill dam. The higher ground at the back of Lysees, once sports fields, nursery and allotment gardens, became a long stay car park. The road continued along the floodplains and low ground, breaking up Wallington Hill, before a roundabout with Broadcut, the access road to Fareham Industrial Park that was previously unsuitably accessed from the hill. All that remained was for it to climb the hill and meet the old road. It did this by cutting across former playing fields and the Manor Gardens caravan site. The caravan site was then moved to a clearing north of the road on a former manor garden, although this was later snapped up by Sainsbury's. The A32 then meets Wickham Road at another small roundabout. The road opened as a primary route but was downgraded shortly afterwards.